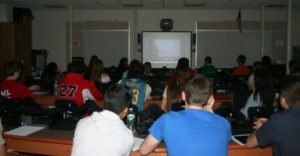 Students in Miller Place High School’s Advanced Placement Biology classes recently observed a live-streamed hand surgery performed by the Pan Am Clinic in Winnipeg, Canada. Students have been studying anatomy and advanced biological concepts throughout the year, and have experience dissecting small animals, however this is the first time they’d ever seen a surgery on a living human and been able to ask questions in real time. 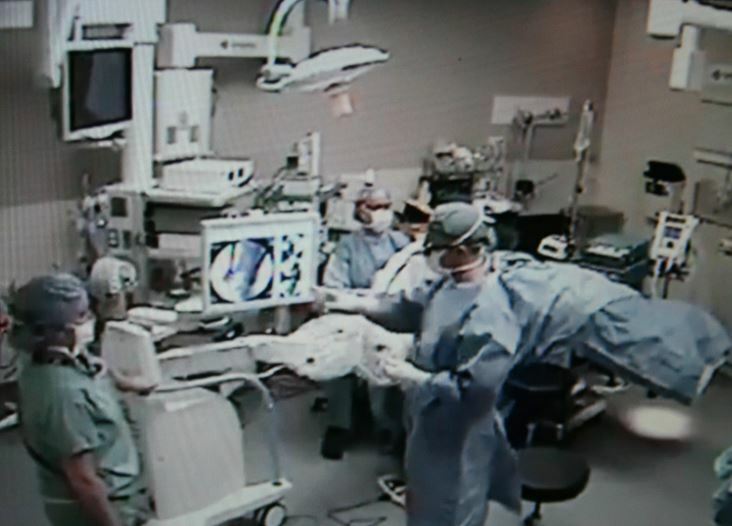 Students were able to submit questions to the surgeon and operating staff digitally while a Pan Am staff member answered questions about the right thumb trapeziectomy procedure and gave students an up-close and personal view of the surgery. This event is one of many Miller Place School District events to engage students in the curriculum in unique, innovative ways, helping students develop a lifelong love of learning and science, technology, engineering and mathematics.